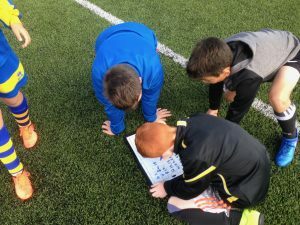 Founded in 2006 by Reading FC Area Head Scout and former Academy Foundation Coach Nick Bolton, Advanced Sports Coaching Ltd has now become firmly established as one of the leading sports coaching companies in the South West. Advanced Sports Coaching Ltd is proud to be associated with a large number of schools, sports clubs and development centres, as well as providing sports coaching for sports councils and private hirer’s. Our vision is to provide a safe and happy environment, where participants can develop socially as well as physically and mentally. Our overall aim is to improve participants awareness, self esteem, confidence, independence and enthusiasm. This, we believe, will help the hundreds of kids we coach every week to achieve their full potential. 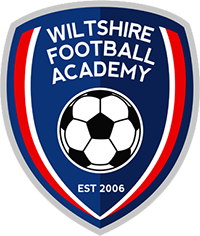 On the football side of things we offer lots of opportunities to cover all abilities in our Wiltshire Football Academy Centres, where we work with players from beginner to academy level and we also cater for players with physical and learning disabilities. 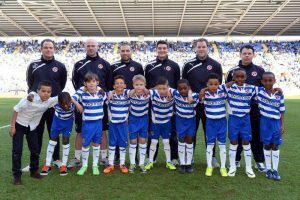 Advanced Sports Coaching Ltd now has strong links with a number of professional football academies. As a result of this, an ever increasing amount of players from our programme, have progressed into professional academies at various clubs, including Reading FC, Southampton FC, Swindon Town FC, Bristol City FC, Bristol Rovers FC, Cheltenham Town FC, Forest Green Rovers FC and the Wiltshire County FA Girls Centre of Excellence, check out our ‘Success Stories‘ page for news of players we’ve helped in the past! Enjoy having a look around our site and we hope to see you in the near future.